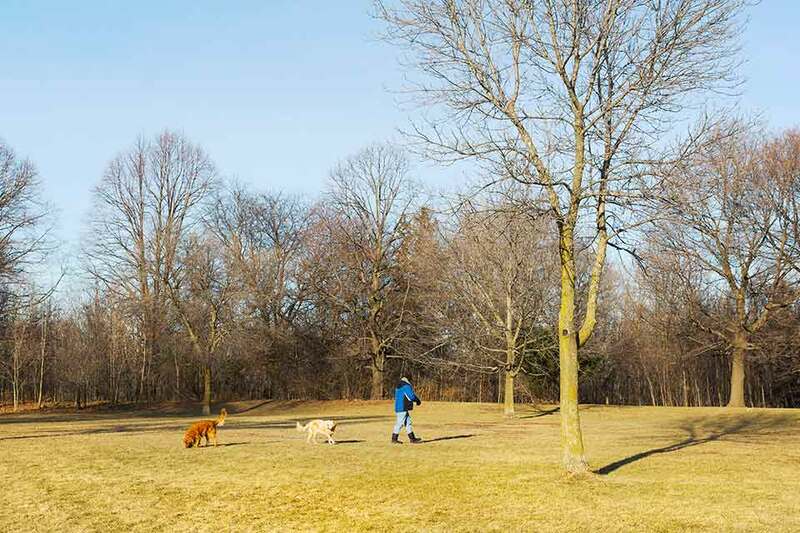 This 66-acre area, site of Milwaukee’s first hospital for the care and treatment of the mentally ill, is currently threatened by a plan to build a multi-family residential development. Sanctuary Woods, a 66-acre area currently threatened with development, was the site of Milwaukee’s first hospital for the care and treatment of the mentally ill. Originally known as the Milwaukee County Asylum for the Insane, the principal structure was designed by Henry Koch and opened in 1880. A precursor to today’s healing gardens by more than a century, the picturesque setting was adorned with a number of landscape features designed to help patients relax and recuperate. 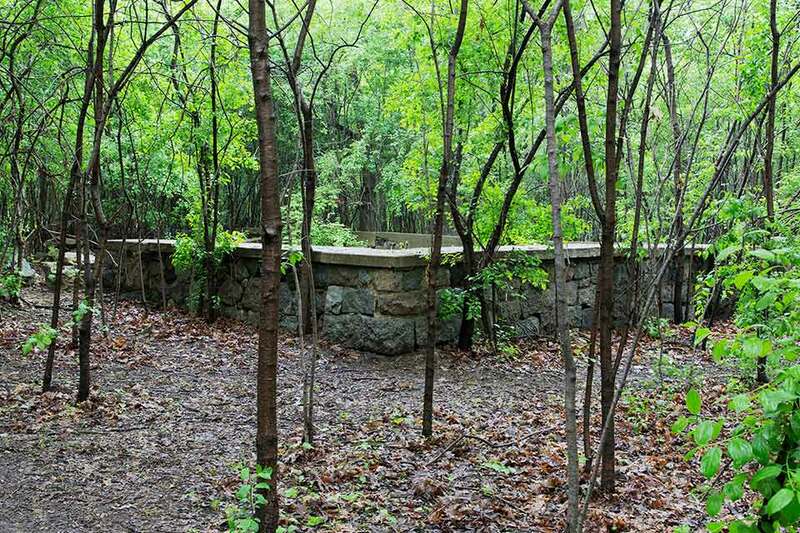 Many of these features, remnants of which can still be seen today, were built by the patients themselves as a therapeutic activity under the supervision of Dr. Moses White, an early superintendent of the asylum. In early 2017, a plan to build a multi-family residential development on the site was announced. 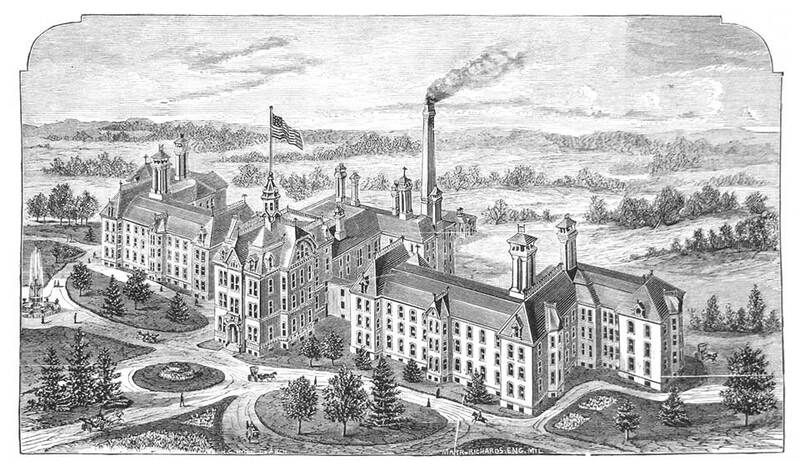 Sanctuary Woods, located in the City of Wauwatosa in Milwaukee County, Wisconsin, was the site of Milwaukee's first hospital for the care and treatment of persons with mental health concerns. Originally known as the Milwaukee County Asylum for the Insane when it opened in 1880, the name was later changed to the Milwaukee County Hospital for the Insane. At the peak of institutionalization in the 1940s and 1950s, Milwaukee County housed some 6,000 people with mental illness, in several locations. The landscape surrounding the asylum was a precursor to today’s concept of healing gardens and contained features designed to help patients relax and recuperate, such as an artificial lake and waterfall, sunken gardens, and a “women’s grove” for the repose of female patients. 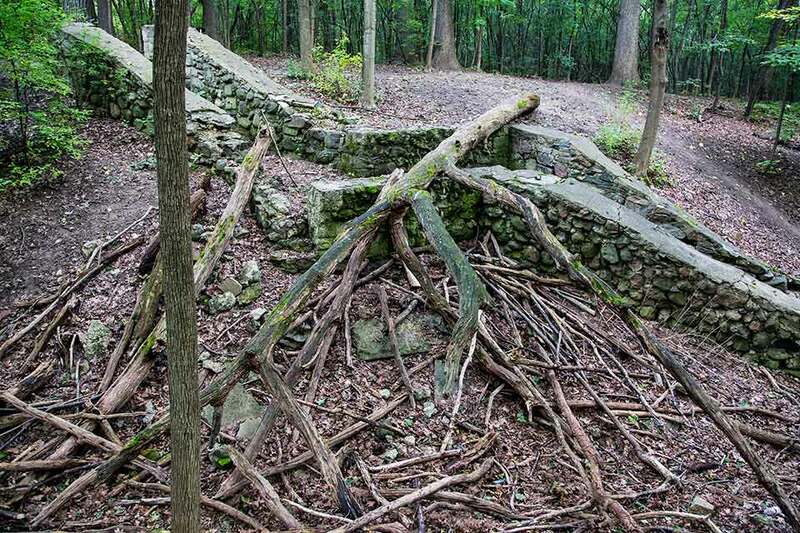 Many of these features, including remnants of fieldstone and curbed woodland pathways, stone staircases, a walled patio, a segment of the former sunken garden, and other elements, were built by the patients themselves as a therapeutic activity under the supervision of Dr. Moses White, an early superintendent of the asylum. The last remaining structure was torn down circa 1994 and replaced with a parking lot. The Milwaukee County Mental Health Complex (MCMHC) was built to replace the former asylum. The MCMHC is now part of the Milwaukee County Regional Medical Complex, which is adjacent to the site. Sanctuary Woods is a component of the much larger Milwaukee County Grounds, which housed a number of county institutions, including the Milwaukee County Home for Dependent Children, a farm for the indigent (Poor Farm), and The Milwaukee County School of Agriculture and Domestic Economy. The latter was designed by noted Milwaukee architect Alexander Eschweiler, although most of the Eschweiler-designed structures have subsequently been demolished and replaced with new development. Two cemeteries are located adjacent to Sanctuary Woods, the Milwaukee County Poor Farm Cemetery and the Asylum Cemetery. While the exact locations of the remains of all indigent people and asylum residents who were buried there are not known, it is believed that approximately 200 people were buried in the Asylum Cemetery. 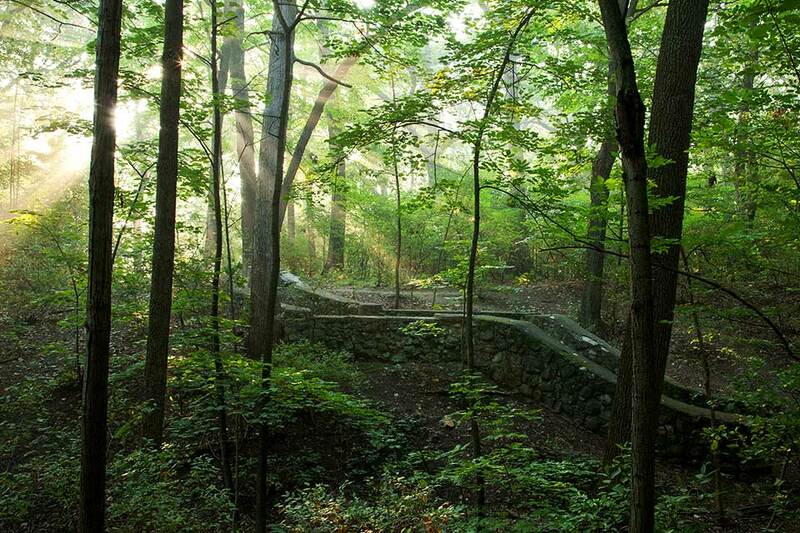 The 66 acres of Sanctuary Woods include a diverse variety of terrains and ecological niches. 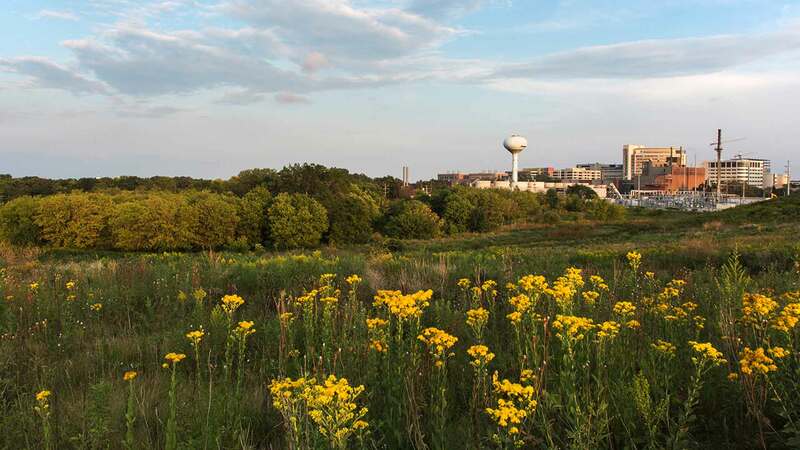 The Southeast Wisconsin Regional Planning Commission identifies it as an “isolated environmental corridor” that provides habitat for a wide variety of wildlife. 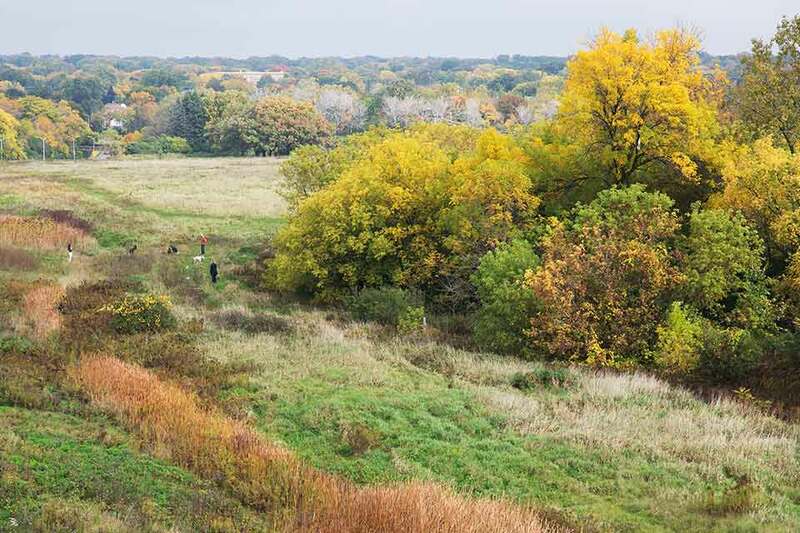 It is contiguous with a 55-acre county park and a 90-acre flood detention basin. 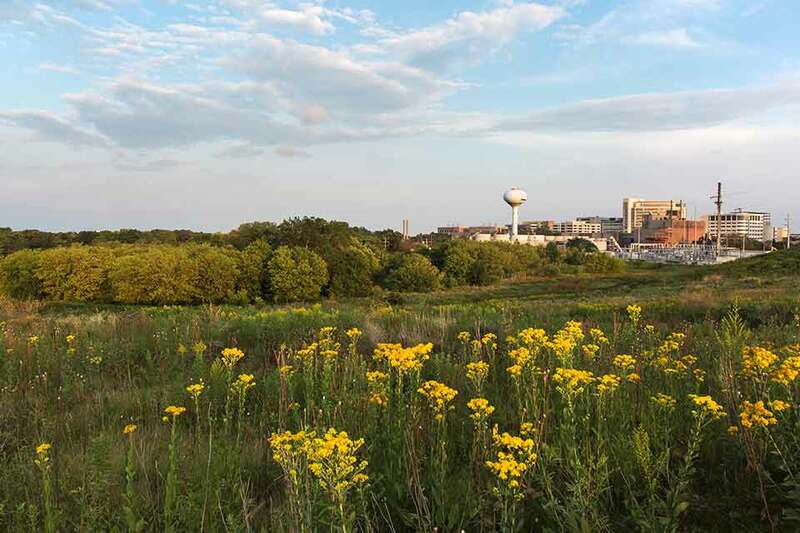 All of these, together with a 45-acre Wisconsin State Forest and Milwaukee County Parkways along the Menomonee River and Underwood Creek, comprise the second-largest open green space in Milwaukee County. Sanctuary Woods is among the most dynamic portions of this landscape and is also the only one that currently remains unprotected. 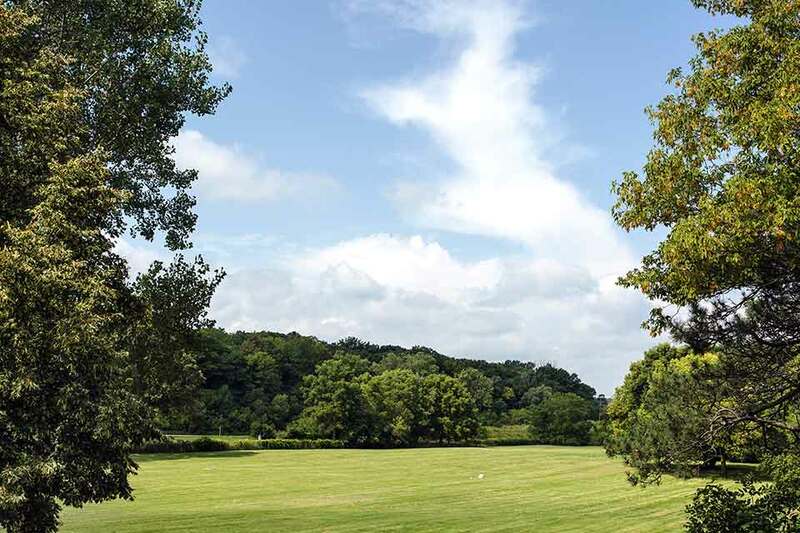 Known as a prime bird-watching location, Sanctuary Woods also includes a large, high quality hardwood stand dominated by ancient oaks and maples, two significant wetlands, several meadows, and smaller connecting woodlands. 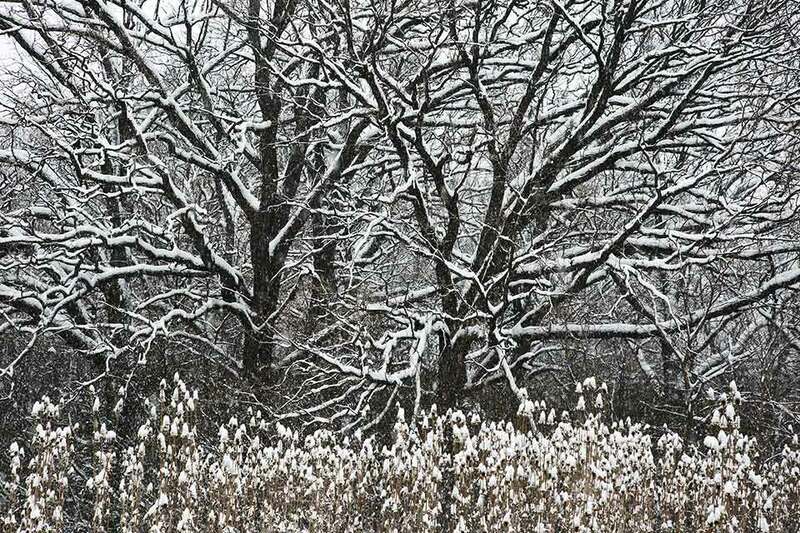 These support habitat for long-eared owls, Butler’s garter snakes, northern flying squirrels, Henslow’s sparrows, all Wisconsin Department of Natural Resources-listed species of concern. A draft master plan unveiled on January 12, 2017, by the City of Wauwatosa calls for major new real estate development on portions of the site. Among other things, the plan calls for a “Scenic Parkway” that would run through the middle of Sanctuary Woods. According to the draft master plan: “The linear Scenic Parkway offers major opportunities for high-quality, multi-family residential development as well as supplementary uses, such as restaurants and public facilities.” Development at this scale would be detrimental to the ecological and cultural significance of the site.